It’s an exciting time of year if you’re a fan of professional road cycling. The global juggernaut of the Tour de France started last July 4th, and will run for 21 stages over 3360km during the next three or so weeks. I wouldn’t say I am fanatical about Le Tour. But for the past 16 or so years I have lost sleep each July, staying up late to watch the phenomenon that was Lance Armstrong, the mountain stages, the Paris finishes, and of course the Australian riders – I have fond memories of my sons as toddlers in their bike caps yelling at the TV with me during some of Robbie McEwen’s stage and green jersey wins. This year, however, I’m not feeling enthused at all about the biggest cycling race in the world. I don’t feel like doing long nights on the couch, or jumping on the ergo bike to spin along indoors with the peloton, or settling in with late night snacks and coffee to watch the race unfold. We all know how that story ended. But could Lance have been right? Maybe enjoying the Tour simply comes down to believing in big dreams and miracles. Perhaps we’re not meant to question it too much – it is just elite sport after all … entertainment for the masses, as some people have suggested. I like the pretty bikes, the colour, and the natural beauty of France as much as the next person. I also want to believe in the mythology and legend surrounding this grand cycling race. But these days I have real trouble suspending disbelief and worshipping at the altar of le Tour. These days the Tour de France just gives me mixed feelings. On the one hand, of the 10 Australians named for the Tour this weekend, two young riders (Michael Matthews, Nathan Haas) will start in their first ever Tour de France. Everyone would agree this is a very significant moment for Matthews and Haas (career highlights no doubt) and Australian cycling too – they are now part of Australia’s Tour de France lineage that began a century ago with Don Kirkham and Iddo Munro in 1914. This is worth celebrating, and worth believing in. But also sitting alongside them on the start line on Saturday will be other riders who have tested positive and been sanctioned for anti-doping violations in the past. This includes some of the biggest names in cycling now representing the World Tour’s most successful teams – Michele Scarponi (Astana), Filippo Pozzato (Lampre Merida), Alejandro Valverde (Movistar), Rui Costa (Lampre Merida), Alberto Contador (Tinkoff Saxo), Damiano Caruso (BMC Racing), Ivan Basso (Tinkoff Saxo), Giampaolo Caruso (Katusha). And then there’s also the ex-dopers working in some of the professional teams in the Tour this year, and the dopers who are still celebrated to this day on the official Tour website of all places. How do we reconcile these things? It is tempting to think that cycling would be better served by focusing on the positives of the Tour de France – the good news stories. Unfortunately, we may have already passed the stage where it is still possible to do this with a straight face. 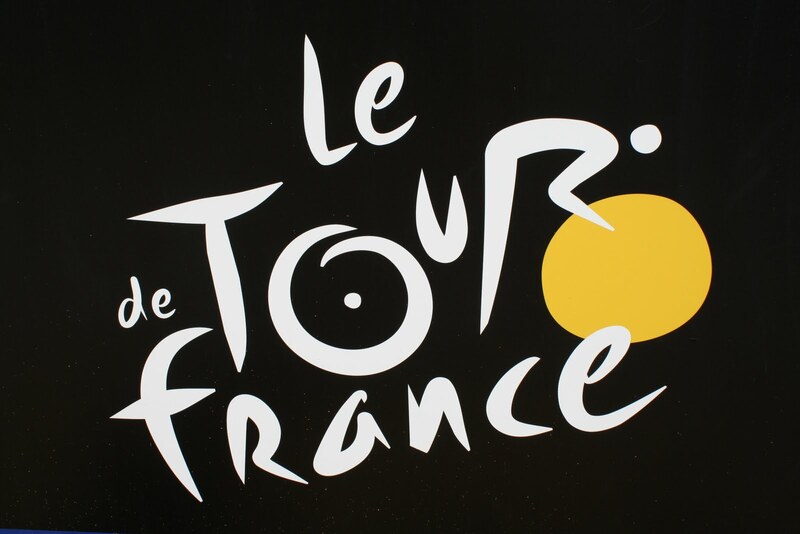 As everyone knows by now, the use of banned drugs and substances and other prohibited practices has been a problem for the Tour de France for a very long time. Doping has had an undeniable impact upon this race, and the sport of cycling. Missed drug tests, early race exits, illness and injury claims, and whereabouts irregularities are now viewed by many as automatic proof of doping. We have reached a point now where remarkable and surprising Tour results that used to be celebrated, admired, and marvelled at, are routinely regarded with suspicion. And yet, curiously, the Tour de France vans and fans keep turning up at the roadside. The global media coverage continues. Most of the sponsors have stuck it out. The products keep selling. And the riders keep on pedalling. I really want to believe in the Tour de France, but sadly I can’t.